Taxiwaala is an upcoming Telugu comedy thriller movie written and directed by Rahul Sankrityan. Jointly produced by GA2 Pictures and UV Creations, Taxiwaala Tollywood movie features Vijay Deverakonda and Priyanka Jawalkar in the lead role along with Malavika Nair, Ravi Prakash, and Uttej. Music director Jakes Bejoy has composed the songs and background score for this movie. Sujith Sarang and Sreejith Sarang are the cinematographer and editor of this movie respectively. 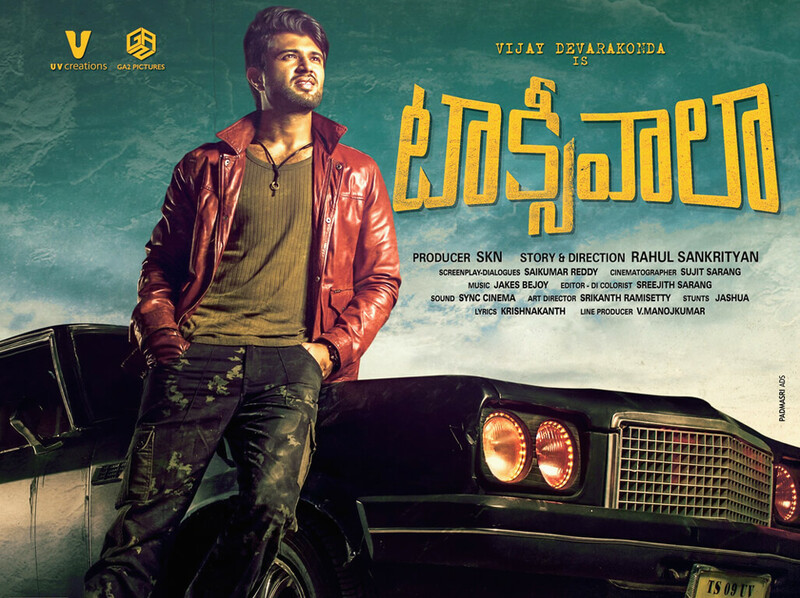 Check out below for Taxiwaala Telugu Movie (2018) Cast, Songs, First Look, Teaser, Trailer, Release Date, Review and more.